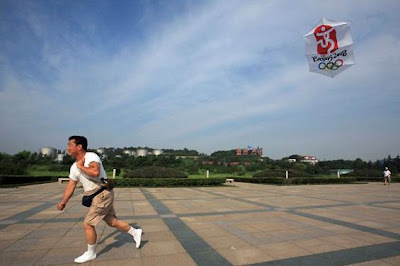 The 2008 Summer Olympics, officially known as the Games of the XXIX Olympiad, will be celebrated from August 8, 2008, to August 24, 2008, with the opening ceremony commencing at 08:08:08 pm CST (12:08:08 UTC) at the Beijing National Stadium in Beijing, People's Republic of China. 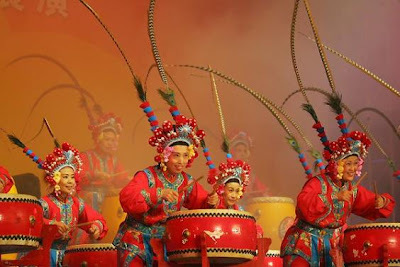 [a] Some events will be held outside Beijing, namely football (soccer) (in Qinhuangdao, Shanghai, Shenyang and Tianjin), equestrian (in Hong Kong) and sailing (in Qingdao). 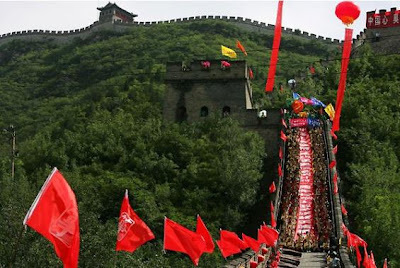 This will be the third time the Olympics are held under the jurisdiction of 2 different NOCs (Hong Kong and mainland China compete separately). 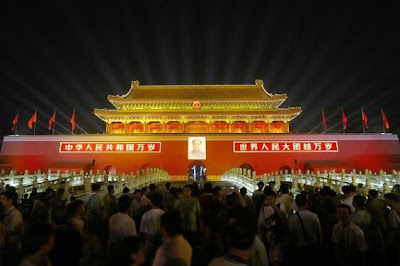 The Olympic games were awarded to Beijing, People's Republic of China after an exhaustive ballot of the International Olympic Committee (IOC) on July 13, 2001. 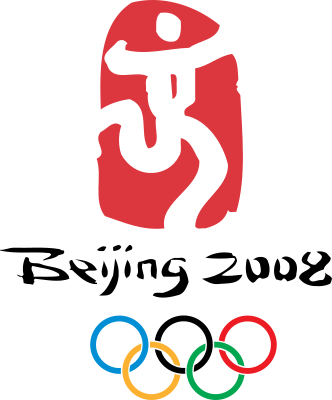 The official logo of the games, titled "Dancing Beijing," features a stylized calligraphic character jīng (京, meaning capital), referencing the host city. 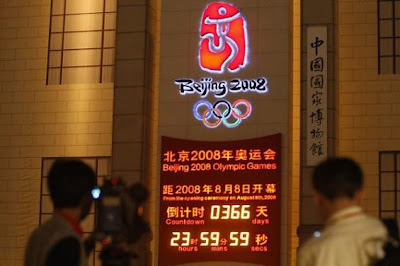 The mascots of Beijing 2008 are the five Fuwa, each representing one color of the Olympic rings. 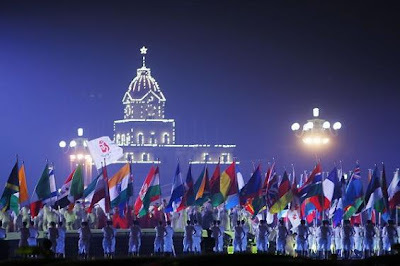 The Olympic slogan, One World, One Dream, calls upon the world to unite in the Olympic spirit. 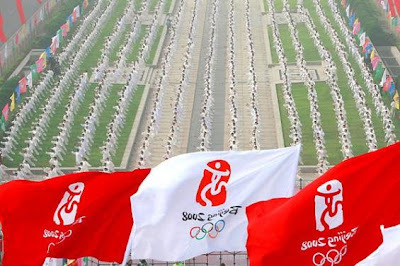 Athletes will compete in 302 events in 28 sports, just one event more than was on the schedule of the Athens games of 2004. 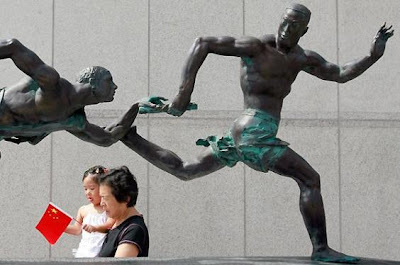 Several new National Olympic Committees (NOCs) have also been recognized by the IOC. 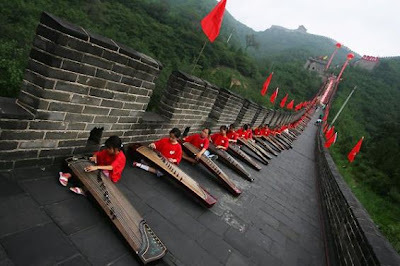 The Chinese government has promoted the games to highlight China's emergence on the world stage, amidst concerns about environmental issues and the human rights violations, particularly in Tibet. 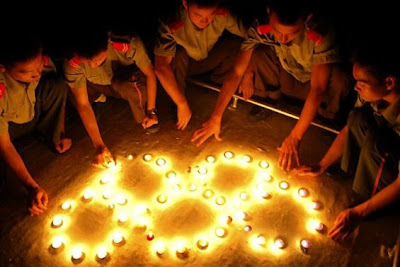 There have also been growing concerns of major nations boycotting the Olympics in protest of China's actions in Tibet. 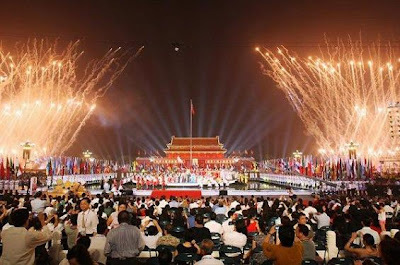 Earlier in 2007, former IOC president Juan Antonio Samaranch has said that he believes that the Beijing games will be "the best in Olympic history."